This Slow Cooker Honey Ham is perfect for Easter brunch or dinner! It’s quick and easy to put together, ready in a few hours, and frees up your oven for other dishes. Welcome to day 1 of #EasterWeek! I’ve teamed up with some of my great food blogging friends to celebrate Easter and my 5 year blogging anniversary with all kinds of delicious recipes! 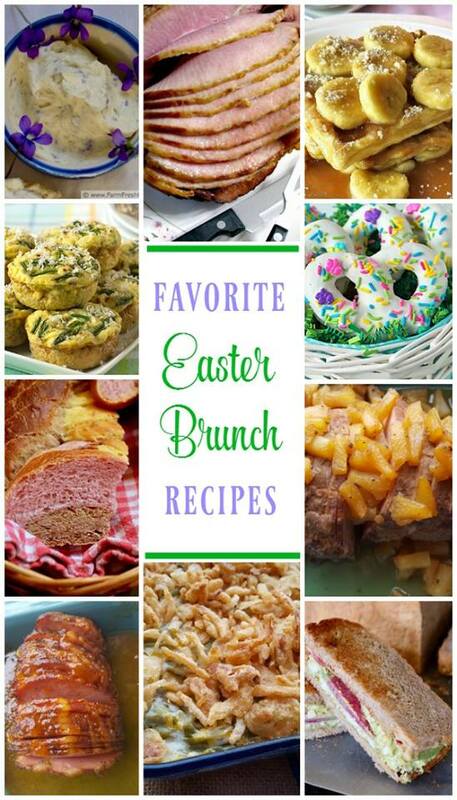 From appetizers to ham recipes, we have everything you need for a great Easter brunch or dinner. Read on below to find out more! I said I was going to share some thoughts on my first five years of blogging last week, but as usual my life got in the way. What I’m going to do instead is share a new recipe perfect for Easter every day this week, and then share my thoughts on blogging at the end of the week next week, after taking the week off (or as off as I ever am). 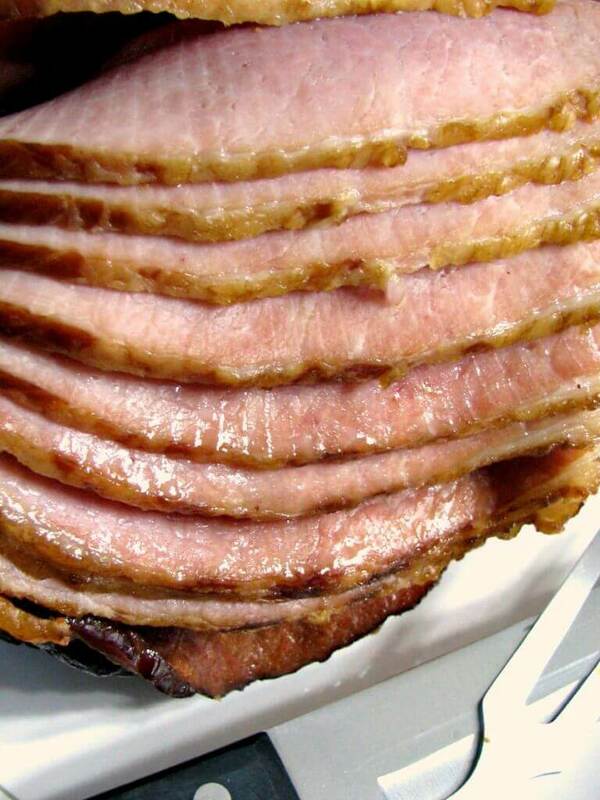 Making ham in the slow cooker might be the easiest thing ever! I don’t know why I didn’t try it sooner than I did. Making a Slow Cooker Honey Ham with chicken broth, honey, and maple syrup mixed together makes the ham juicy and sweet. It takes less than five minutes to put together, what could be easier? I don’t know about you, but I don’t normally get too fancy with my Easter ham (and I HATE cloves!) so this is perfect for me. Read on after the recipe to see the other great recipes shared today! This Slow Cooker Honey Ham is perfect for Easter brunch or dinner! It's quick and easy to put together, ready in a few hours, and frees up your oven for other dishes. 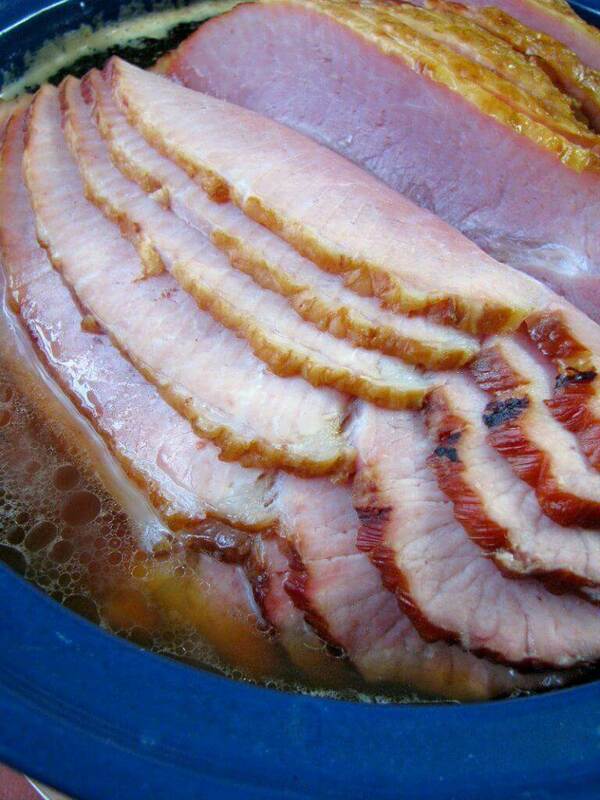 Place the unwrapped ham in a large slow cooker. Discard the glaze packet that came with it (if applicable) or refrigerate it for another use. In a large cup or medium bowl combine the chicken stock and maple syrup, mix well. Pour the mixture over the ham. Slowly pour the honey over the ham, covering it completely. Place the lid on the slow cooker, set to LOW and cook for 4-5 hours, or until heated through. If desired, strain the liquid from the slow cooker into a heat-proof container, skim the fat from the top, and serve as a dipping sauce for the ham. 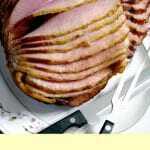 There are lots of slow cooker ham recipes floating around, but this one sounds SO perfect for using in Easter leftovers. The perfect glaze! Thanks for hosting this EasterWeek event, Bernadette! Yes! It would be great in omelettes or sandwiches, pretty much anything. Thank you for joining me for #EasterWeek, Becca. 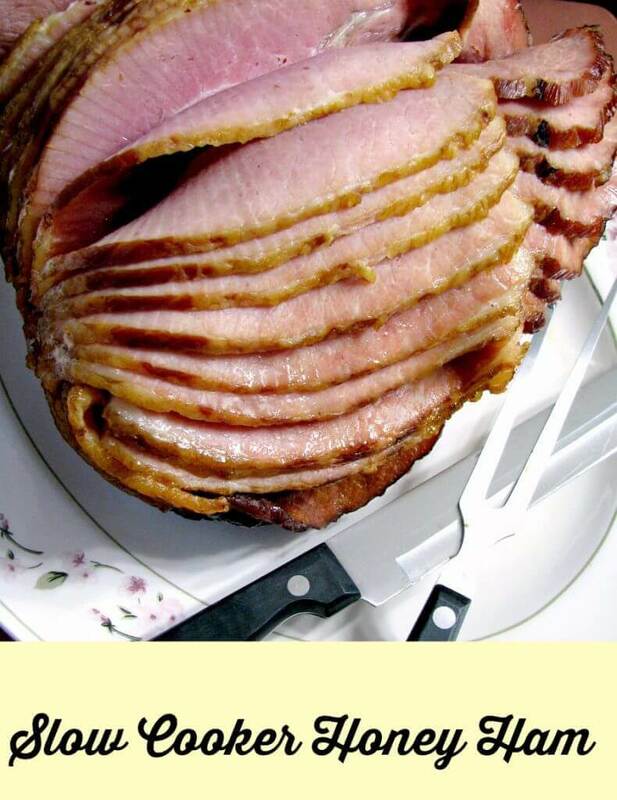 What a great idea to use the slow cooker for ham! During the holidays I’m always making a bunch of sides and never have room in the oven. I never thought to throw the ham in the crock pot, though–that’s brilliant. Thanks! We have a convection oven in addition to our regular oven, I use that for sides sometimes. The ham in the slow cooker is great! I never tried making ham in a slow cooker. Now that is going to change! Thanks for hosting #EasterWeek ! It’s just about as easy as you can get. Thank you for joining me! I’m going to use this recipe for Easter! I love my slow cooker. I’m glad you like it Shelby. I hope you entered the giveaway!